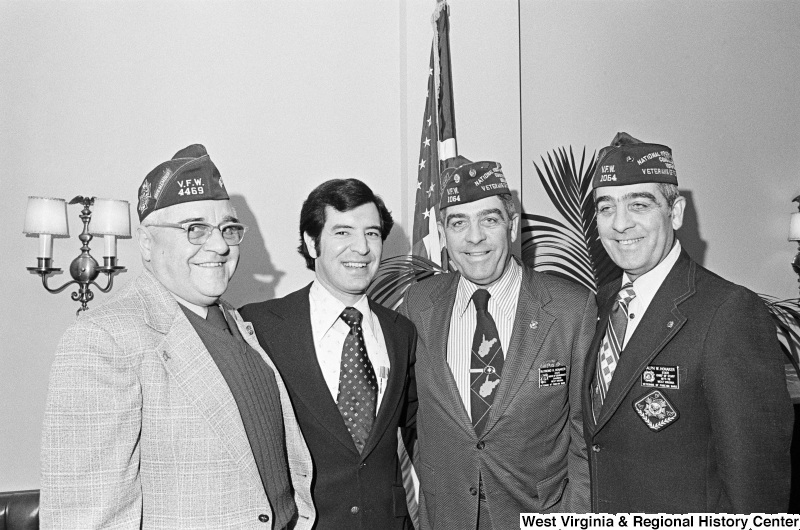 Congressman Rahall meets with three men, including Raymond H. Honaker and Ralph W. Honaker, who wear Veterans of Foreign Wars caps and insignias. 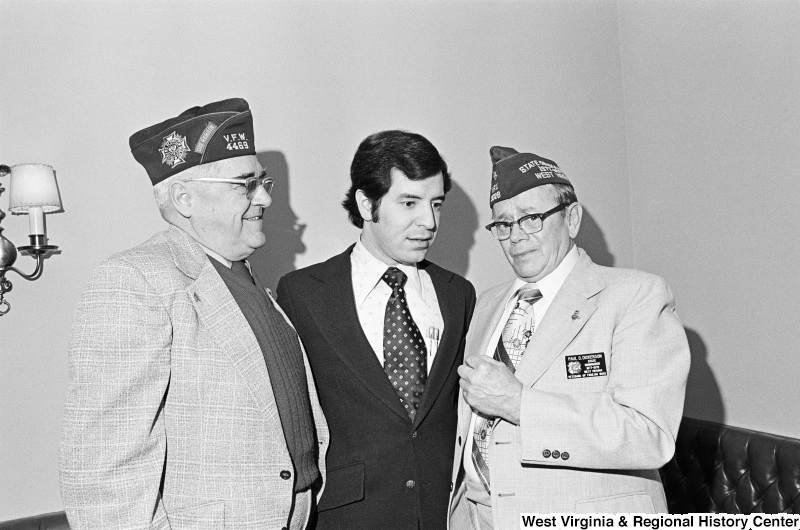 Congressman Rahall poses with Raymond H. Honaker, Ralph W. Honaker, and another man who wear Veterans of Foreign Wars caps and insignias. 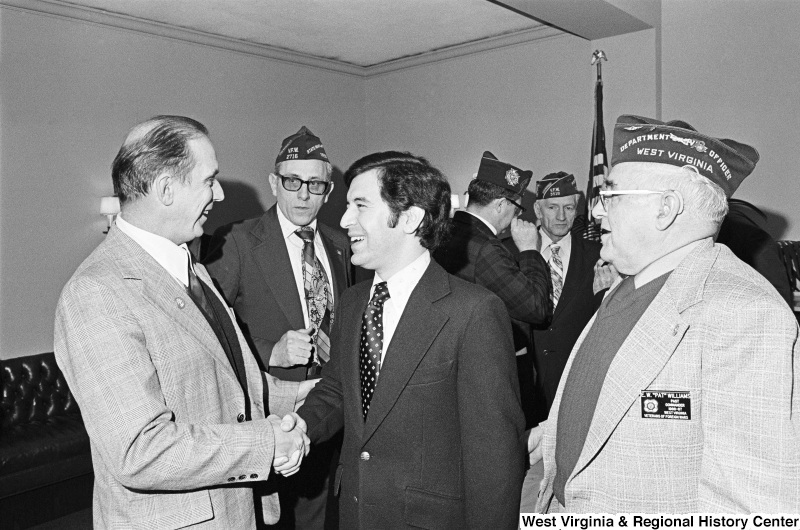 Congressman Rahall meets with E.W. "Pat" Williams and other men who wear Veterans of Foreign Wars caps and insignias. 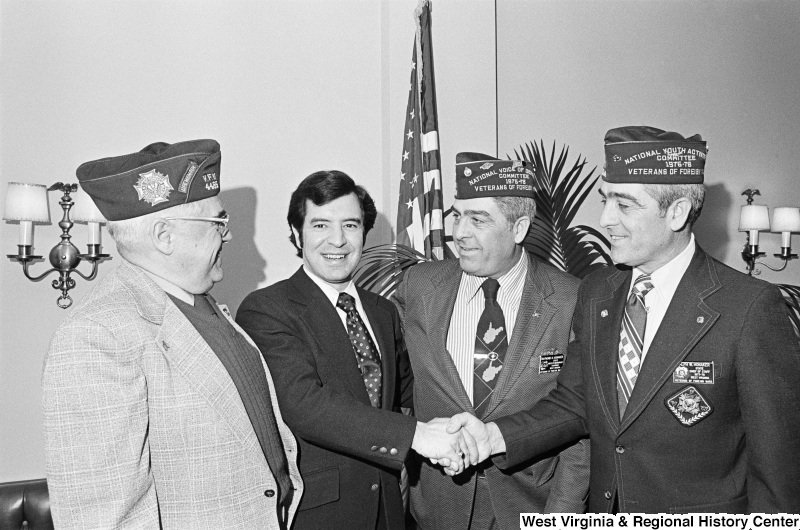 Congressman Rahall stands with E.W. "Pat" Williams and Paul D. Dickerson, who wear Veterans of Foreign Wars caps and insignias.